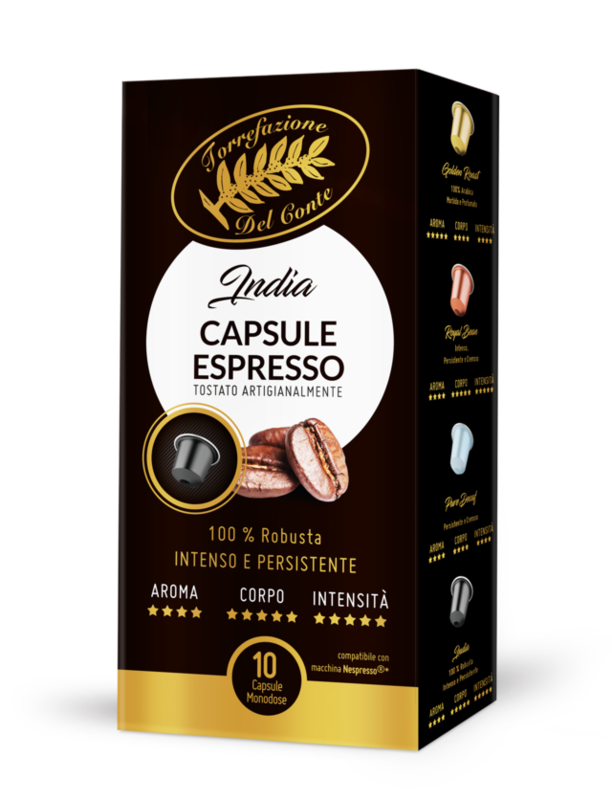 Torrefazione del Conte arises from our passion and experience for Coffee world, and is still settled as an artisan Company based in the heart of Emilia-Romagna region but very open to the best coffee production from all over the world. After a very careful selection, We handle raw coffee beans by following a strict and traditional roasting process, preserving and exalting the special aroma of our coffee varieties. To meet all your needs we offer you the possibility to customize your blends to satisfy all gusit! More Arab or more creamy, we create the most suitable blend for you and your business. We believe that our strength is not only in the product we sell, but also in the know-how we acquired in many years working and observing the market. We are aware that this valuable knowledge is furthermore increasable only with the continuous exchange of experiences. 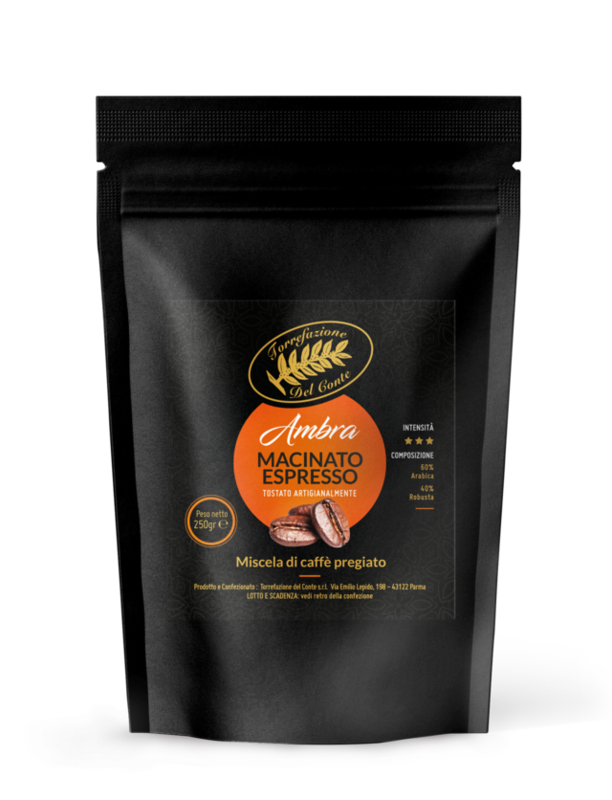 Ground coffee for espresso machine or in moka. On richeista both the typologies. Your application both the typologies. The best Arabica from South America meets the great Robusta varieties for a surprising and unforgettable taste. 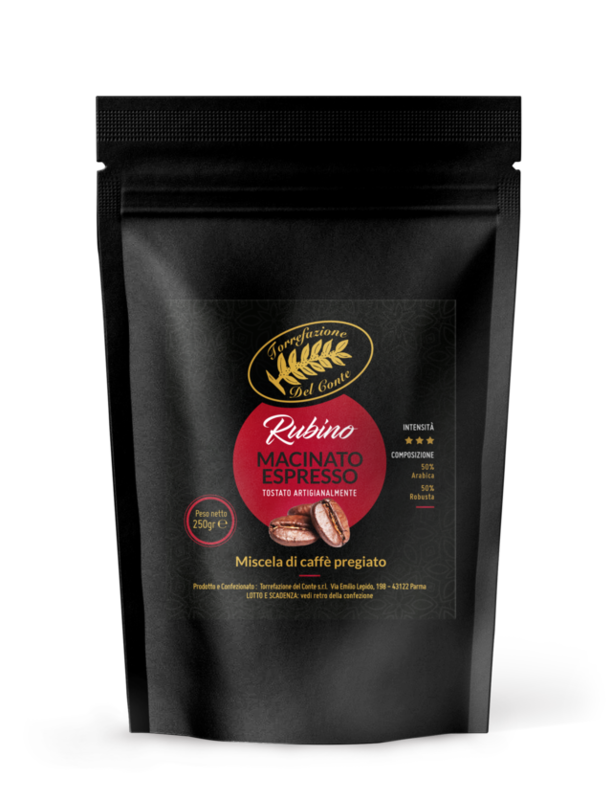 The perfect and balanced mix between the best Arabica and persistend Robusta varieties. Sweet but full-bodied at the same time. Do you have a caffee bar?